The Kaduna State government has said three people were rescued alive from the rumble in the aftermath of clash between the Nigerian Army and members of the Islamic Movement in Nigeria. Three other people were found dead in the rubble. 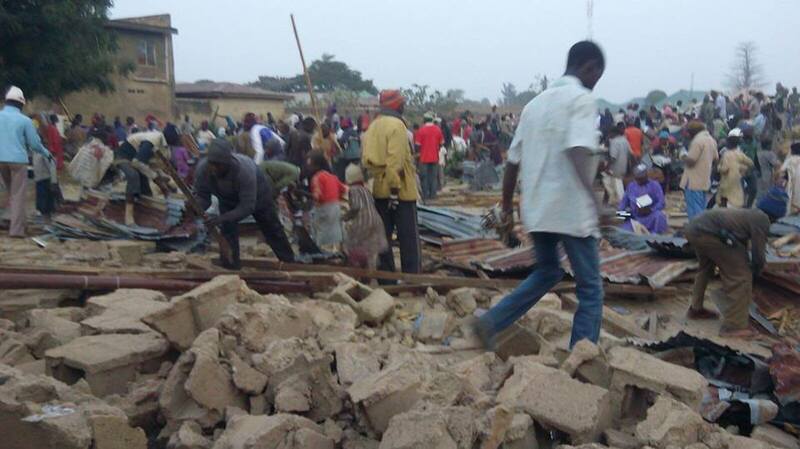 In a statement Friday, the Kaduna State government called on residents who fled the Gyellesu area to return home, saying the necessary public safety and security measures had been put in place for their comfort. “Public health considerations also informed the exercise to clear the debris. During operations to remove debris at the Husainiyah, two persons were rescued alive after spending three days under the rubble,” Samuel Aruwan, the Special Assistant to the Governor on Media and Publicity, said. “One person was pulled out alive from the Gyellesu site, while three corpses were recovered at the Dambo village location,” he added. The statement commended residents for heeding the appeal to return home. It also urged those who were yet to return to feel safe enough to come back. Mr. Aruwan added that government had directed the immediate restoration of electricity and water supplies in the area. The statement added, “Following the clashes between the Nigerian Army and Sheikh El-Zakzaky’s movement, it became clear that a number of buildings and other property had been damaged. The debris at the Husainiyah, in Gyellesu, and other locations constituted a danger to public safety. “Therefore, the relevant agencies are evacuating the debris, removing dangerous materials such as twisted metal and glass shards. Some of the structures that were damaged at the sites of the clashes were deemed to be structurally unsound, and were also subsequently removed. Residents were advised to inform the authorities if they come across any item that looks unusual or suspicious or appears to be dangerous to themselves or their children. “With the measures taken to search for and to rescue people trapped in the rubble, evacuate corpses and remove dangerous debris, the sites of the clashes are no longer sources of peril to their communities.